Savour fabulous lochs, hills and isles at your own pace, while experiencing memorable rail trips on the renowned West Highland and Kyle Lines. This holiday draws on memorable train journeys and private day tours to weave together a Caledonian odyssey. 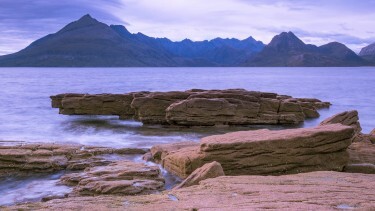 Take in breath-taking lochs, peaks and wilderness on the mainland plus the famous Isle of Skye. Add potent history – and potent whisky if desired! With superb hotels providing luxury along the way, this trip is ideal for independent travellers looking for personal service and a touch of special Scottish style. 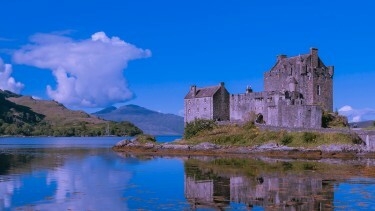 Premier Highlands, Castles & Whisky Escorted Rail Tour, including an exclusive castle stay. upgrade to a stay at Gleneagles to complete your trip in style? Your journey starts by train from cosmopolitan Glasgow, along the wonderfully picturesque West Highland line. 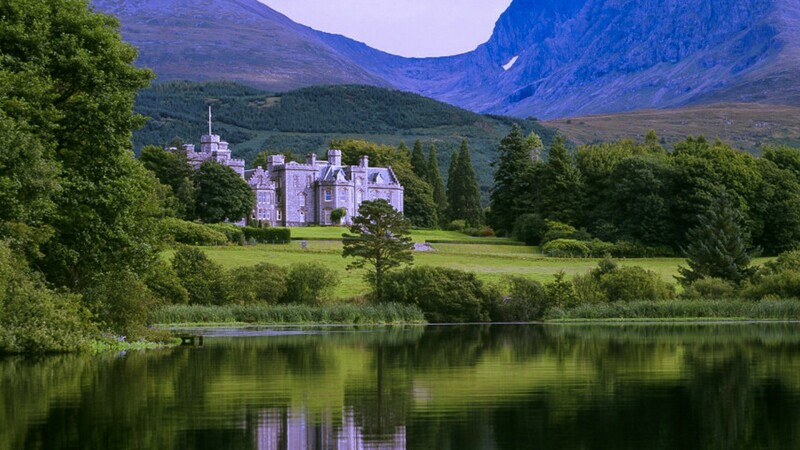 Travelling across wooded hills and rugged valleys, you pass a host of lovely lochs – including the bonnie banked Loch Lomond – and cross the untrammelled wilderness of Rannoch Moor to Fort William. From here it’s a short transfer by taxi to your luxurious castle hotel. Your fabulous first night location is a 5* baronial castle fashioned from a 19th century waterside mansion where Queen Victoria came to sketch for a week in 1873 and fell in love with the picture-perfect surroundings. 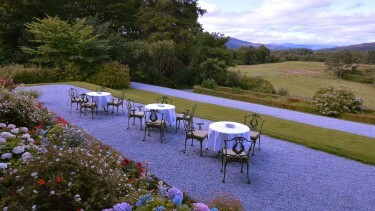 Today it is rightly recognised as one of the finest hotels in Scotland, retaining an intimate and exclusive feel. This morning, the Jacobite steam train provides a first class trip on one of the most celebrated rail journeys on Earth, travelling from Fort William to Mallaig. Awesome Highland scenery includes Britain’s deepest freshwater loch (Loch Morar) plus the deepest seawater loch in Europe (Loch Nevis), plus the beach where Bonnie Prince Charlie landed in 1745. It’s a place of big screen locations too, including the natural settings for films like Local Hero. 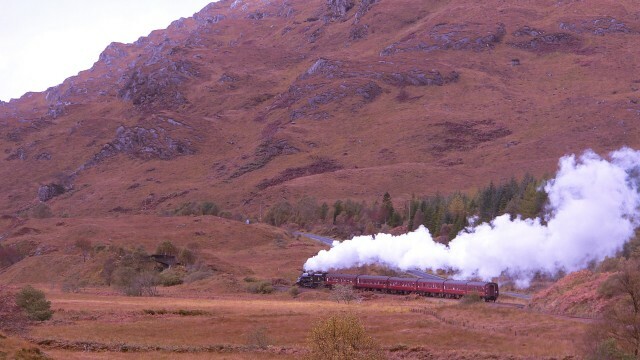 But the most famous movie link is the Jacobite Express itself – featured in the Harry Potter blockbusters as it puffs wizards to Hogwarts across the spectacular Glenfinnan Viaduct. 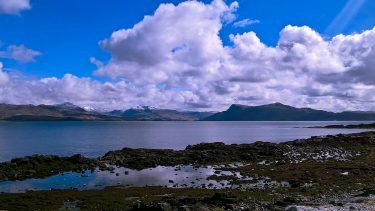 After lunch in the little fishing port – and seafood mecca – of Mallaig, enjoy a half-hour ferry ride “over the sea” to Skye, where a local taxi will transport you the short journey to reach your hotel. Your whitewashed hotel combines a superb lochside setting with one of Scotland’s most celebrated restaurants – and dinner is included on both nights of your stay here. A day to relax and explore with the service of our expert local guide, who will design the day around your preferences on an island which, as the largest of the inner Hebrides, offers myriad contrasting charms. 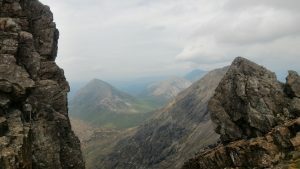 Superb mountain and coastal scenery have made Skye a stellar destination for visitors going back generations, including pioneering Victorian mountaineers who tackled the imposing jagged peaks of the mighty Cuillins. 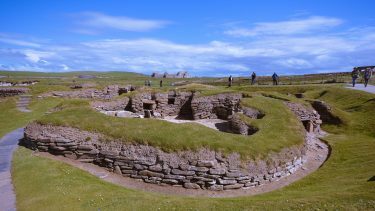 You could venture to castles like Dunvegan (ancestral seat of the MacLeods for eight centuries) or Armadale’s 18th century ruins, once clan home of the MacDonalds. Consider too a visit to the crofting township of Staffin and Museum of Island Life. 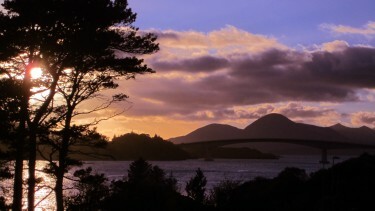 Skye is also home to outstanding arts and crafts makers – your guide can offer suggestions. Whisky lover? Then perhaps visit the famed Talisker distillery or the lesser-known Torabhaig to savour lip-smacking island drams. Return for a further evening at your peaceful and luxurious accommodation. After breakfast, a taxi will whisk you across the Skye bridge (ask the driver about the local battle to scrap its original tolls…) to catch your next train at Kyle of Lochalsh. The 80-mile Kyle Line to Inverness is a triumph of Victorian engineering, particularly the first 10 mile stretch that hangs above a crinkle-cut shore punctuated by pretty coastal villages and deserted beaches. You may spot seals or eagles from your carriage too. Arriving in Inverness, you’ve the afternoon free to explore the bustling town by the River Ness where it meets the Moray Firth. There’s plenty to see, including a contemporary museum and art gallery and a fabulous book shop. Alternatively, take a short trip to visit to the Culloden Battlefields, where poignant memorials detail a battle that ended the last Jacobite rebellion in 1746. Mixing grandeur and tradition, a stately country house in almost 40 acres of immaculate grounds is your home for two nights, on the spot where Bonnie Prince Charlie rested prior to the battle of Culloden. Today a local driver/guide will take you on a private half-day tour around the Loch Ness area, giving you an insight into both famous and less well-known aspects of this iconic part of Scotland – tailored to what you most want to see. You might wish, for example, to see the Clava Cairns – a trio of sacred Bronze Age stone monuments dating back 4000 years. On Loch Ness itself, you’ll enjoy a one-hour cruise (not private) on its mysterious waters – scan the boat’s sonar for signs of life beneath… Many visitors also explore the tumbling ruins of Castle Urquhart, whose stones combine 1000 years of history with picture-perfect loch views. 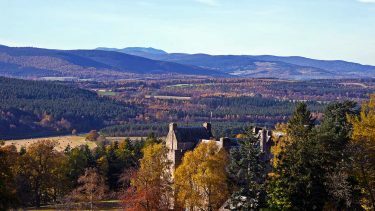 Join the first class Scotrail service south through the spectacular scenery of Cairngorm National Park to the popular town of Pitlochry in the heart of splendid Perthshire countryside, luxuriantly green in spring and summer, then transformed to a dazzling blaze of colour in autumn. You’ve free time in Pitlochry to explore a sophisticated riverside town where boutiques sell fine tweed and tartan. Close to your hotel, meanwhile, the Explorers Garden is a sylvan celebration of the global forays and colourful finds of Scottish plant hunters, while the Atholl Palace Museum is an intriguing chronicle of social life from the 1870s on. The well-regarded Pitlochry Festival Theatre offers cultural entertainment, and we can help with advance ticket reservations if anything takes your fancy. For the next two nights you will stay in a 19th century baronial mansion above the woody shores of Loch Faskally on the edge of Pitlochry. History blends with luxurious contemporary interiors, complemented by a spa – and a specialist gin bar. With a whole day to explore, this is an opportunity to take in sights within easy striking distance of Pitlochry. We can arrange a full day tour with private guide if you wish (additional cost, see below). There are some fantastic castles, for example. Just a few miles from Pitlochry, the exquisite Blair Castle is an opulent 800-year-old palace in delightful woodland, while the nearby House of Bruar is a mecca for upmarket Scottish souvenir shopping. Further afield, Stirling Castle is a masterpiece of Renaissance grandeur on an imposing crag above a medieval town an hour’s drive away. There are also two fine – but quite different – distilleries within a couple of miles of Pitlochry. 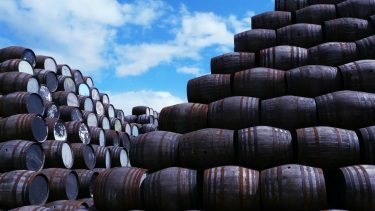 Blair Athol makes whisky at the heart of the Bell’s brand, while the tiny Edradour distillery has been making intriguing malts by a delightful burn since 1825. Your final train journey carries you from Pitlochry into the heart of Edinburgh – with options to extend your stay in the city if you wish. This holiday starts in Glasgow, travels the length of the West Highland Line via Fort William, continues to Mallaig, crosses to Skye by ferry, before continuing to Inverness, and Perthshire. You end in Edinburgh. We can also arrange the holiday to start in Edinburgh, and although accommodation in both cities is not included, we can help with our hand-picked selection of 4 and 5 star hotels. £2355 per person for April, £2395 in May & October, £2450 per person for June, July, August & September. All prices based on two adults sharing a double or twin room and includes 5 nights bed & breakfast, and 2 nights dinner, bed & breakfast in our hand-picked selection of small 4 and 5 star hotels. Train travel where possible will be in first class including the Jacobite steam train, but standard class from Glasgow to Fort William and Kyle of Lochalsh to Inverness. 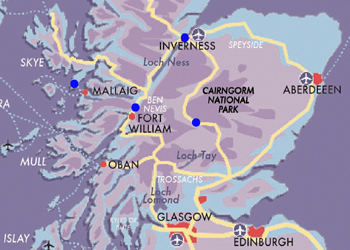 Taxi transfers are included in Fort William, Skye, Inverness & Pitlochry. The holiday includes a private guided tour of Skye, and private half day tour of Loch Ness, plus one hour boat trip (not private). 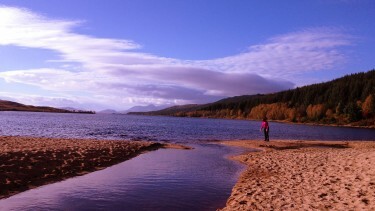 A day tour with private guide can be arranged in Perthshire for an extra £155 per person. 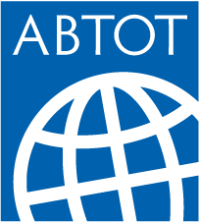 We would also be delighted to assist with hotel reservations in Glasgow and Edinburgh from our selection of centrally located, high quality 4 and 5 star hotel options. As porterage is not included in this largely self-guided holiday, and assistance at train stations is somewhat sporadic, we recommend packing just one manageable suitcase per person. Fantastic holiday, thank you! Blown away by the scenery everywhere, even more spectacular than we'd expected. The hotels were wonderful too. Everything worked very well, we enjoyed the whole trip. We tried many of the things recommended by Robert. We loved it! This was the trip of a lifetime, and we have nothing but happy memories! Everything was amazing. This holiday can be arranged from April to October. In 2019, the Jacobite Steam train will run from the 19th April until the 25th October. 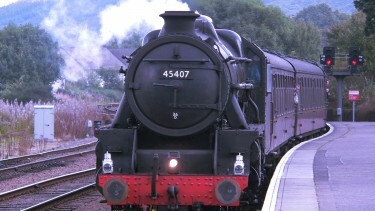 Outside these dates the same route can be booked, but a standard train service operates to Mallaig.